Ethical foreign policy has often been considered utopian, unrealistic and potentially very dangerous. Dan Bulley argues for a reconceptualisation of ethics as foreign policy, as both look to how we can, and ought to, relate to others. 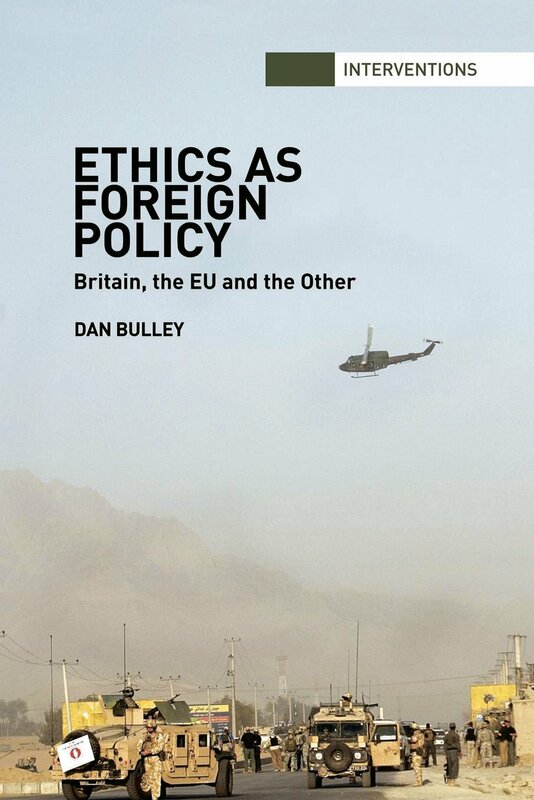 Inspired by the deconstructive thought of Jacques Derrida, Bulley studies the ethical claims of British (1997-2007) and EU (1999-2004) foreign policy. These claims are read against themselves to illustrate their deep ambiguity. A textual analysis of speeches, statements and interviews given by foreign policy makers shows that a responsibility to save ‘Africa’, to protect Iraqis, and to hospitably welcome the Balkans into the EU are also irresponsible, inhospitable and unethical. The author contends that foreign policies making a claim to morality are ethical and unethical, in their own terms, suggesting that while a truly ethical foreign policy remains ultimately unachievable, it does not justify abandoning a responsible relation to others. Rather, a negotiation of ethics as foreign policy suggests potential individual, context-bound decisions which remain open to contestation and permanent critique. Bulley argues that the goal of ethical foreign policy must be maintained as a productive hope of what is neither completely impossible, nor entirely possible.